Renown Star Wars author and New York Times best seller, Timothy Zahn is set to meet fans and host a panel at the 2013 Geek Media Expo (GMX). 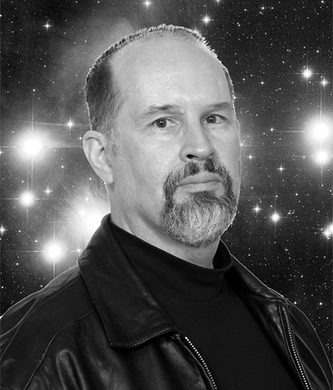 Timothy Zahn (facebook.com/TimothyZahn) is a writer of science fiction short stories and novels. His novella Cascade Point won the 1984 Hugo award. He is the author of eight Star Wars Expanded Universe novels, including six novels featuring Grand Admiral Thrawn: the Thrawn Trilogy, Hand of Thrawn duology, and Outbound Flight. The Thrawn trilogy marked a revival in the fortunes of the Star Wars franchise, bringing it widespread attention for the first time in years; all three Thrawn-trilogy novels made the New York Times best-seller lists, and set the stage and tone for most of the franchise’s Expanded-Universe content. While many of Zahn’s characters have been embraced by franchise writers and readers, some still appearing in novels written seventeen years later, Thrawn has been particularly influential and celebrated. Zahn also wrote the young adult Dragonback series, the Cobra series and the popular Conquerors’ Trilogy. 2013 marked the release of his most recent Star Wars title, Scoundrels.